Charles Perry, a practicing CPA from Lubbock, was elected to the Texas Senate in 2014 after first serving two terms in the Texas House of Representatives. A life-long West Texan, Perry is a conservative fighting for lower taxes, better schools, safer communities, and individual liberties. Perry currently chairs the Senate Committee on Agriculture, Water, & Rural Affairs and sits on the Senate Committees for Criminal Justice, Health and Human Services, and Transportation. He additionally, co-chairs the State Water Implementation Fund for Texas (SWIFT) Advisory Committee, and was appointed by Gov. Abbott to the Southwestern States Water Commission. In the 85th legislative session, Perry passed 34 senate bills and 38 house bills and a number of amendments. These bills included legislation to strengthen pro-life measures in Texas, expand Second Amendment rights, protect our ballot box from voter fraud, stop the sale of illegal synthetic substances to our youth, and protect rural communities. Most notably, Perry authored and passed Senate Bill 4, which banned sanctuary cities in Texas. Perry put a stop to sanctuary cities by preventing local government from helping criminal immigrants evade federal detainer requests, causing public safety concerns statewide. He also helped pass legislation prohibiting physicians from performing tortuous dismemberment abortions. Perry fought to pass economic development programs for rural communities, improve our water laws, cut red tape allowing a new VA health care clinic to be built in West Texas, and reformed healthcare laws to increase access to medicine using telepharmacy and telemedicine. Outside his work in the Legislature, Perry has served his community as past president of the Lubbock Boys and Girls Club, American Business Clubs, and Community Partners, and previously served on the board of the National Council on Family Violence and the Women's Protective Services of Lubbock. He has also serves as a deacon at his church, Southcrest Baptist in Lubbock. 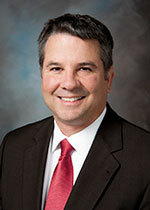 Perry grew up in the district he currently represents, graduating from Sweetwater High School in 1980. In 1984, he earned his Bachelor of Business Administration in Accounting and Management Information Systems from Texas Tech University. Perry has been married to his wife, Jacklyn, for over 34years and together they have a daughter, Jordan, and a son, Matthew, and two grandchildren. The entire family are graduates of Texas Tech University. Geographically, Perry represents the largest Senate District in the State. The district is made up of 51 counties, is over 48,000 square miles, and is larger than 19 U.S. states. 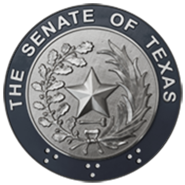 Senator Perry has been honored by a number of groups for his commitment to conservative leadership, including an "A+ Rating" by the National Rifle Association (NRA); named a "Rural Friend" by the Texas State Telephone Cooperative, Inc. (TSTCI); "2017 Legislative Champion" by the Meadows Mental Health Policy Institute; "2017 Faith & Family Champion" by Texas Values; "2017 Pro Life Hero" with a 100% Pro Life voting record by Texas Right to life;"100% Pro-Life Rating" from Texas Alliance for Life; "100% Small Business Voting Record" award by the National Federation of Independent Business (NFIB); named "2017 Courageous Conservative" by the Texas Conservative Coalition; "Legislative Hero Award" by the Access to Justice Foundation; and "Fighter for Free Enterprise" by the Texas Association of Business. The Lubbock District Office services the following counties: Borden, Crosby, Dawson, Floyd, Garza, Hale, Hockley, Lamb, Lubbock, Lynn, Scurry and Terry. The San Angelo District Office services the following counties: Coke, Coleman, Concho, Crane, Eastland, Irion, Kimble, Mason, McCulloch, Menard, Mitchell, Nolan, Reagan, Runnels, Schleicher, Sterling, Sutton, Taylor, Tom Green, Upton, and Ward. The Childress District Office services the following counties: Baylor, Childress, Cottle, Dickens, Fisher, Foard, Hardeman, Haskell, Jones, Kent, King, Knox, Motley, Shackelford, Stephens, Stonewall, Throckmorton, and Wilbarger.